Suppose that you’re in Cambodia and want to sell a surplus steam turbine; or in Chile and needing to source a diesel generator. Or you may be in Malaysia and negotiating to buy a power barge from Kenya and you need an independent valuation. The man who can help you is based in an office in an island group between the Atlantic Ocean and the North Sea, off the north coast of Scotland. He’s Mike Craigie, and his company CESS have handled enquiries from 223 countries. It was Mike that was called in when the lights went off in Auckland, New Zealand. The call came through at midnight and within minutes he had logged in to his database and found a number of mobile power plants which could be brought in to help restore power in the Auckland suburbs. The company’s business spans the globe, from Australia to Afghanistan, from Alaska to Zimbabwe. Mike offers a complete ‘turnkey’ service. He can appraise the plant and value it, source it or market it, and handle the sale itself and all the various subsequent stages of dismantling, shipping and recommissioning. It may be gas turbines needed for Belize, a steam turbine for Slovenia, a diesel generator set from China for a project in Vietnam – Mike is the man they call on. It is a beautiful example of the knowledge economy. And indeed, it’s a fine example of how an innovative company can generate global revenue from a local setting, a success marked by a Queen’s Award for Enterprise in 2004. Mike works from an office in his home town of Stromness – the seaport where supplies and men were once gathered for the Hudson Bay fur trade and the Greenland whaling. It was Stromness that Captain Cook’s ship Resolution called in to first, on its return from the South Pacific with the news of Cook’s death in Hawaii, and Stromness today is the base for companies trying out new wave and tidal power devices in the sometimes turbulent waters off the Orkney coast. He has the ability to identify opportunities for the future – and the willingness to share them with the community. Over the years he has highlighted the potential of the deep-water anchorage of Scapa Flow to be a port for the new generation of container ships; for its large wartime wharfage to be used for oil rig decommissioning; for the new cable carrying power from Norway to the UK to be routed through Orkney to collect the future output from the growing marine renewables industry. 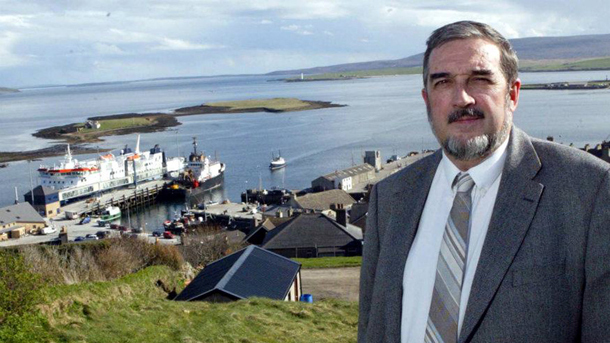 He has also been a prime mover in initiatives such as the Stromness Community Business Forum. The list of contracts handled by the company can be found on its website and Mike can be found at just about any hour in his office – looking out for the next challenge. It may be Belgium or Bolivia, Brazil or Bahrain: if there’s power plant to be sourced or sold, Stromness is the place they contact and Mike’s the man.